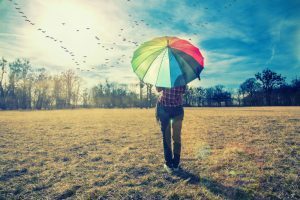 Choosing the right umbrella can be more than a little daunting when you consider that there are thousands of models, makes, styles such as a windproof umbrella, and colors to choose from. If you’ve ever been drenched by an unexpected shower, or worse still, had an umbrella fail during a massive downpour, this guide is for you. At The London Umbrella Seller, our years of research means we understand what’s needed to construct a superb umbrella. We’ll give you all the information you need on how to choose the perfect umbrella and most importantly, an umbrella that will last for years to come. Having researched hundreds of brollies, we’ve included some of our Top Picks in the guide… choosing the perfect umbrella just got a whole lot easier. The first decision should always be whether to buy a compact umbrella or a stick umbrella. A compact umbrella, sometimes called a folding umbrella, travel umbrella or mini umbrella, is usually around 25-30cm when closed. A stick umbrella, sometimes referred to as a walking umbrella, straight umbrella, classic umbrella or golf umbrella is around 80-110cm when closed. The main factors to consider in your choice are how portable you need the umbrella to be, the strength of the frame and the canopy size when open. 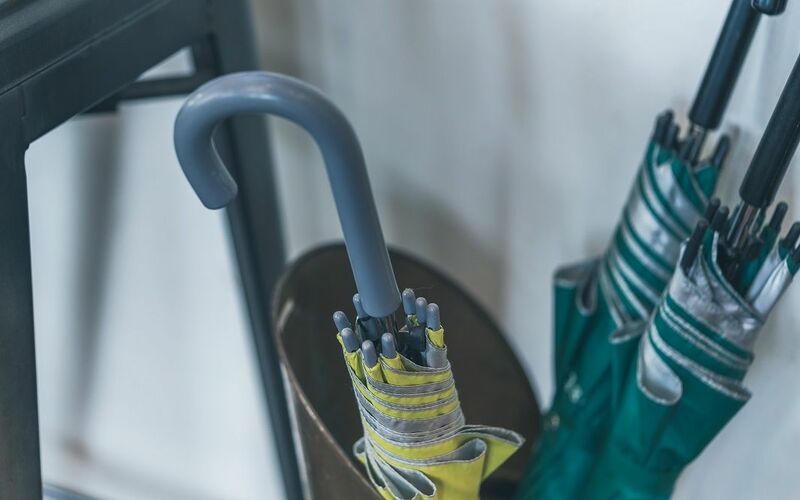 If the primary reason for purchase is that the umbrella should be portable and able to be carried in your everyday bag/handbag, then a compact umbrella is the right choice. It’s in your bag and with you at all times and ready for the next downpour. If the strength of the umbrella and a larger canopy size are two important reasons for your purchase then a stick umbrella comes into its own. 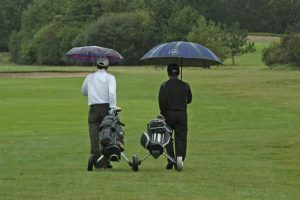 It may mean you have to carry the umbrella in your hand or on your back with a suitable strap; however, it should last you much longer and will save you money in the long term. Always consider keeping a stick umbrella in the car so that it is always at hand when you’re out and about, plus the car does most of the carrying. The frame of an umbrella encompasses the vast majority of its components so getting this decision right is vital. Actually, within the umbrella industry, there are only three other main parts that make up an umbrella: the handle, the canopy and the shaft. The frame will usually have between 6 and 24 ribs. Most umbrellas have 8 ribs. This has a lot to do with tradition and the origins of the product; actually 8 ribs work really well as they give you symmetry and thus greater strength. You can of course opt for more ribs and this will make the frame stronger, however as soon as you deviate from the 8-rib models, your choice of umbrella will be greatly restricted. Choosing 16 ribs will likely give you a noticeable strength boost; however, take care with 24 rib versions as the weight of the umbrella can become onerous, which is not ideal when you are holding it above your head with one hand for any length of time. It’s vital to ensure these ribs are strong and that they can flex to a limited extent in the wind. Quality frames are designed to flex within a limited range so they can absorb the stresses caused by strong gusts. 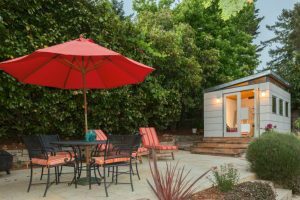 Go for a frame made out of fiberglass or steel as these materials give the strength required at an affordable price; however, they also have a degree of flexibility to absorb movement caused by the weather. 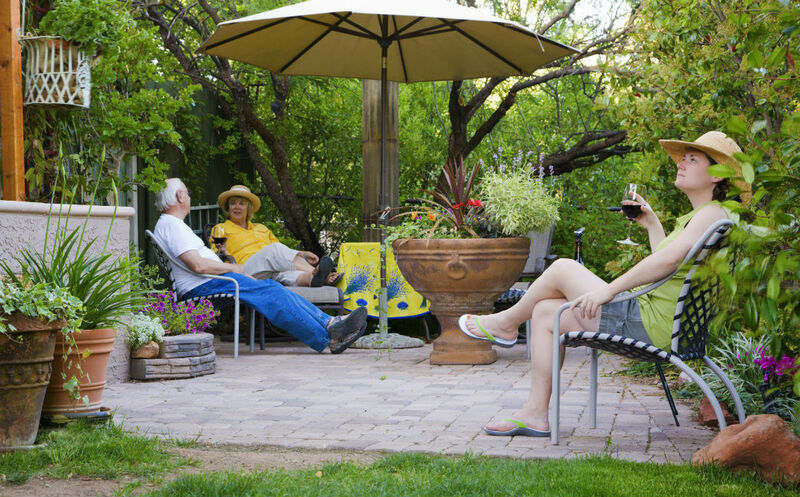 Avoid aluminum frames as they can bend even in a moderate wind and once they bend, the umbrella frame is compromised and will never be as strong again. Frames should also be “windproof;” however, this term is often misunderstood. In the umbrella industry, where an umbrella is described as windproof, it means the frame is designed to flex and in certain conditions, flip inside out to release pressure. A windproof umbrella means the frame is designed to return to its original shape without being damaged. Our advice: Choose a fiberglass or steel windproof frame with 8 or 16 ribs. Umbrella canopies are usually made of polyester, nylon, plastic or cotton. The majority of umbrellas available today use polyester as it widely available, durable and will retain its shape whether the umbrella is open or closed, wet or dry. Umbrella canopies are available in a single canopy or a vented double canopy. A single canopy has one continuous layer of fabric attached to the frame with no gaps or air vents. A vented canopy consists of two overlapping layers of fabric with a vent between them. The vent allows air to travel through the fabric to release pressure that could otherwise cause the canopy to flip. Wherever possible, try to choose a vented canopy as they can extend the life of your umbrella. Don’t be put off by thinking rain could come through the vents; the design and amount of overlap ensure drips are few and far between. We do have a tip on this too; always dry the umbrella in the open position. This will prolong the life of your umbrella; however, with a vented canopy umbrella, if you close the umbrella when it’s wet, at certain angles, water droplets may pass through the vent to the inside of the canopy, you risk creating your own shower when you open the umbrella again and the water droplets fall down. Our advice: Choose a vented canopy. Next, consider the size of the umbrella canopy when the umbrella is in the open position. Umbrellas are traditionally measured across the arc of the canopy as this measures the amount of fabric used that will cover the head and shoulders. Alternatively a diameter measurement can be used which measures the canopy from one side to the opposite side. The diameter measurement is usually around 10%-20% less than the arc measurement. The majority of umbrellas available have a diameter measurement of between 90cm and 130cm. A compact umbrella will invariably have a diameter at the lower end of this range, and a stick umbrella will usually have a diameter at the higher end of the range. We recommend a diameter of at least 90cm to cover one person and a diameter of 120cm or more where two people need to stay dry. Our advice: Choose a canopy diameter of at least 90cm for one person, 120cm for two. An automatic umbrella offers a real advantage and can be handy when it springs into action at the touch of a button when a sudden rain shower creeps up on you. Stick umbrellas tend to be either manual lift or automatic open; compact umbrellas tend to be automatic open or automatic open and close. Automatic close allows the canopy to snap shut, making it easy to dash inside or dive into the car saving valuable seconds in getting away from the rain. It’s then necessary to collapse the shaft manually. Our advice: An automatic open mechanism is a must. It’s also worth giving the umbrella handle some thought, after all, it’s the only part you hold. Handles are usually made of plastic or wood, and they are invariably straight or curved. Plastic handles tend to be straight with lengths ranging from 5cm to 10cm, wooden handles can be straight or curved, although they are more likely to be curved, otherwise known as a hooked handle. The first important consideration is to ensure that the handle is large enough to grip. We recommend ensuring the length is at least 6cm to fit comfortably in the hand. 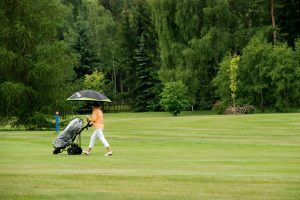 Try to avoid very small handles as they can be hard to grip and therefore make controlling the umbrella more difficult in windy conditions. Secondly, choose a handle that is not slippery when wet; handles with ridges and non-slip coatings really assist with grip. A third consideration also concerns the hook handles. Hook handles can be really comfortable, however they add width to the umbrella, sometimes up to 12cm. This is fine for stick style umbrellas however is an important consideration for compact umbrellas as it adds considerably to their width and thus their ability to be stored easily in a bag. Our advice: Ensure the handle is large enough so it can be firmly gripped in the hand. The umbrella shaft is another factor to consider when choosing a strong umbrella. The vast majority of umbrella shafts are crafted from steel, fiberglass or wood. Steel and fiberglass shafts give the best strength. Larger stick style umbrellas have a shaft that is one continuous piece; this will naturally be the strongest as there are no moving parts. Compact umbrellas have shafts that usually collapse in two or three places allowing the umbrella to reduce in size so it can easily be carried. Compact umbrella shafts are therefore weaker due to their multiple parts and telescopic nature. 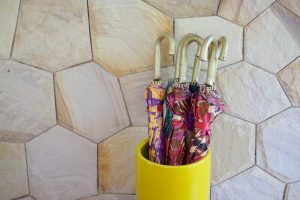 We do have a tip here for compact umbrellas; try to choose a hexagonal shaft as the shape and design adds rigidity when compared to a simple tube design. Also, take note of the diameter of the shaft, try to choose a shaft with a diameter of at least 10mm. Our advice: Choose a fiberglass or steel shaft. Something else to consider is the umbrella’s weight, especially if the umbrella is constantly by your side. The average compact umbrella weighs around 300-400g; stick umbrellas on average weigh in the region of 550-750g. 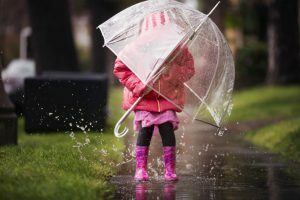 Always bear in mind that heavier umbrellas are likely to have heavier frames, stronger materials and in all probability, a higher quantity of materials and this means getting a stronger umbrella that is likely to last longer. While there may be a temptation to go for a lighter model at the lower end of the above range, which is thus easier to carry around, our advice is to go for an umbrella at the top end of the range so it’s packed with strong components and maximizes the strength-to-weight ratio. Our advice: Go for a little extra weigh;, the umbrella will likely contain superior components. The umbrella slipcover is the removable fabric sleeve that covers the umbrella when it’s closed. A slipcover is available for both compact and stick umbrellas. A slipcover performs three main functions: first, it keeps the umbrella clean; it holds the umbrella safely closed and can stop the rib tip snagging other items while the umbrella is being carried or stored; and it can also act as a useful cover for a wet umbrella to keep the rain away when the umbrella is no longer needed, very helpful when you need to put the umbrella into a bag with other items or keep it away from other passengers on a train or bus. A word of warning however, as soon as practical, dry the umbrella in the open position to avoid the frame becoming damaged over time. A slip cover may take a few seconds to remove; however, it really adds value for the above reasons. Our advice: A slip cover is a helpful addition for any umbrella. So how much should you pay for the perfect umbrella? Umbrella prices vary hugely from a few pounds or dollars to over one hundred. Thankfully, our research has found that to obtain an umbrella with the features covered in this guide you don’t have to spend a fortune. You should expect to pay between £20 (EUR 24 or US$26) and £35 (EUR 42 or US$46). While price is not the only indicator of quality, this price range is full with models that will last and if you were to lose the umbrella, it won’t break the bank to replace it. Our advice: Spend between £20 and £35. 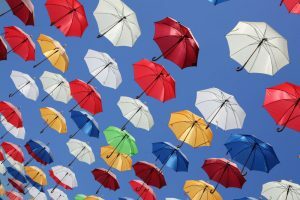 We started this guide by stating that there are thousands of umbrellas to choose from; hopefully you now have the knowledge to quickly reduce that number and choose your perfect umbrella. 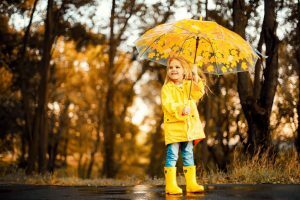 Once you’ve decided between a compact umbrella or a stick umbrella, pay particular attention to the frame, the open canopy size, whether the canopy is vented, if the umbrella is automatic, and think carefully about spending more than £35. Choosing the perfect umbrella just got a whole lot easier.